As a business owner or manager you must deal with threats on many levels. You know that the need to protect your facilities, employees, inventory and assets is more critical than ever. Perhaps the solution to your needs is a mobile patrol. MCM Protection’s patrol services consist of a uniformed security guard patrolling your premises. This can be done whenever you desire; weekends, holiday periods, day and night. Our trained mobile patrols will inspect your premises a certain number of times. We check that all gates, doors, windows, perimeter fences and vehicles are secure. We also check for signs of unauthorised movement on site. Key holding is available at your request. In the event of a break-in, we will immediately contact the Police and notify the person(s) responsible at your premises. We are constantly alert for signs of illegal entry and/or activity. If your premises have multiple users you will have experienced the difficulty in ensuring the premises is secure at the end of the day. Our patrol can attend and check that your usual shutdown and lockup procedures have been followed. We can hold keys if required to rectify any oversights. We can also take care of your unlock procedures, allowing access for early staff or deliveries. 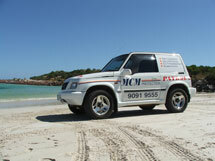 Please contact MCM Protection if you would like more information about our mobile patrol service. Patrol alarm response is a suitable alternative to police attendance. Fast response to security alarm activations has become essential for effective security protection. With police resources stretched to the limit, patrol response is often the best option. If access to the premises is restricted, we can hold keys to allow inspection. Please contact MCM Protection if you would like more information about our alarm response service.